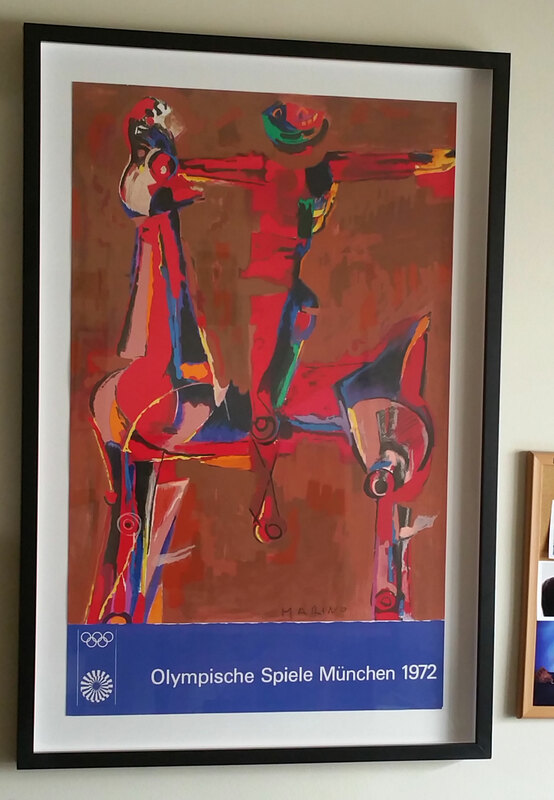 This is an one of the official Olympic posters of 1972. It is an original 20-color lithograph, signed in the plate and a limited edition of 4000. 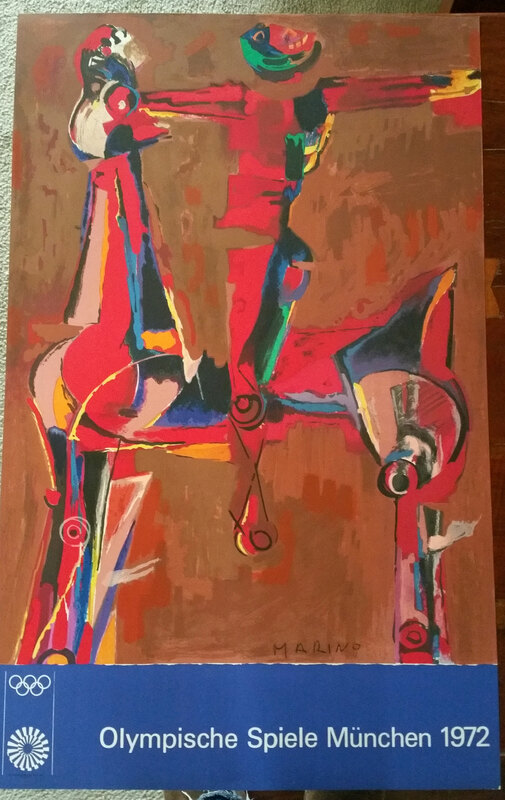 Marino Marini was best known for his equestrian paintings and sculptures. This impression represented that sport perfectly and today the poster is sought after for it’s compelling presence.